As we always search for multicultural melodies, we hosted this time the Egyptian band Musicairo-Trio for a midday concert. For the concert’s opening, the band of three academic musicians played the famous Frank Sinatra “My Way”. “We want to take you back to the golden age of music”, Sherif Moustafa, the band’s Pianist and Music Instructor of Heliopolis University announced to the audience. 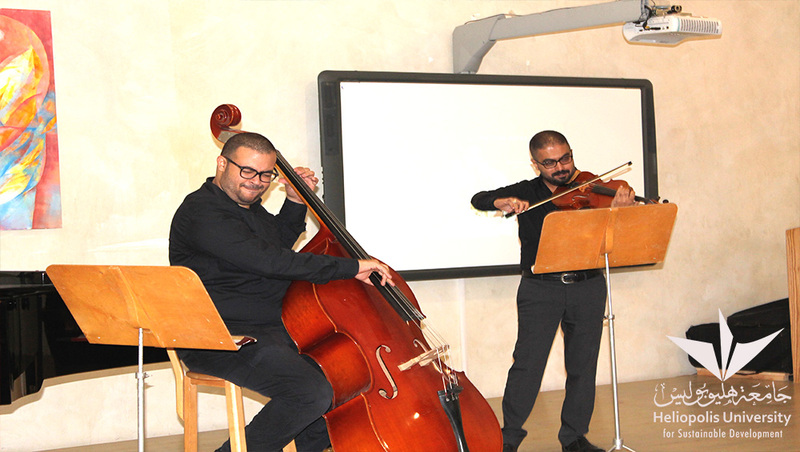 Together with Mahmoud Zakaria on Viola and Karim Adnan on Bass, the trio played some of the most likable 1950s and 1960s Jazz songs. “My Way”-like, the musicians interpreted the songs their way and thereby showed their great musical passion on stage. 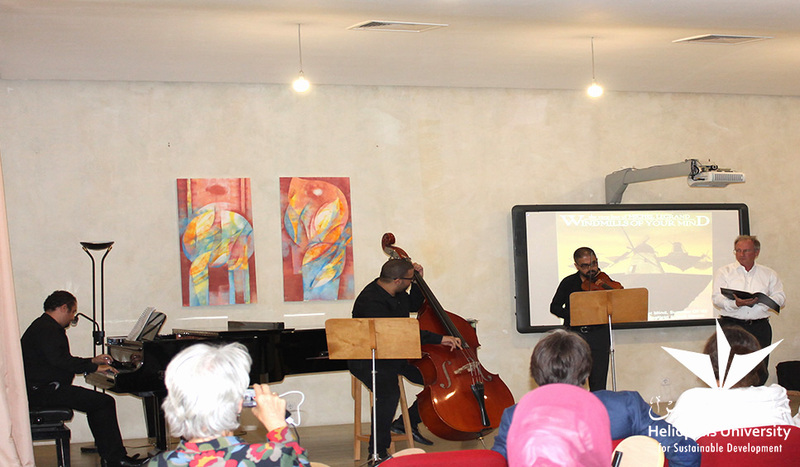 Surprisingly, the Musicairo-Trio declared celebrating the birthday of Rafik Costandi, a longstanding SEKEM teacher, at the concert’s day. The member of the SEKEM Choir wanted to celebrate his birthday with his SEKEM colleagues by gifting them. He joined the band on stage and performed with his deep and characteristic voice two nice songs. With great applause, the audience did not only cheer the Musicairo-Trio, but also congratulated Rafik Costandi on his birthday.